Mayor Gloria McCauley announced that Hillsborough Township welcomed Freddy the new K9 last week. As a result of the generosity of Dr. Caesar DePaço and Deanna Padovani-DePaço, K9 Freddy is the Township’s third Police K9. He is named in honor of Sergeant Freddy Wacker who unexpectedly passed away in November of 2016. Freddy is an 8-month-old German Shepard who comes to Hillsborough Township from Hungary and will be partnered with K9 Officer Richard Tichenor. Together, they will be attending the Morris County K9 Academy for several months of training. “We are excited to welcome Freddy to Hillsborough and honor the memory of Sergeant Wacker,” stated Mayor Gloria McCauley at Tuesday’s Township Committee meeting. She went on to thank Dr. Caesar DePaço and Deanna Padovani-DePaço again for their generosity to fund not only the purchase of the K9 and the patrol vehicle as well as covering the expenses for the officers to go to Virginia to select the new K9. 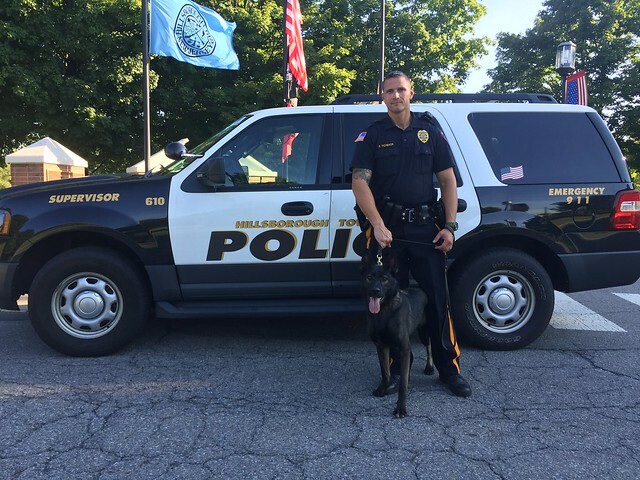 In 2013, Dr. Caesar DePaço and Deanna Padovani-DePaço purchased a K9, Marco, for the Hillsborough Township Police Department. Marco is a Belgian Malinois that took over for Hillsborough’s first K9, Raider, upon his retirement. Raider, the Township’s original K9 retired from service in 2014 and is now enjoying retirement as a family dog. Marco and Freddy will remain on the force together until Marco retires.